Ryan is the winner of the 2018 Off West End Adopt A Playwright Award for his play RHAPSODY, which was produced at the Arcola in March of that year. 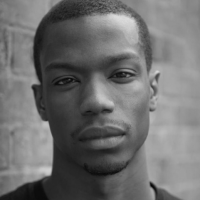 He is an alumnus of the Royal Court writer’s programme 2017 and the Soho Young Company 2016/17. His play QUEENS OF SHEBA won the 2018 Edinburgh Untapped Award having played to sell-out audiences at the Camden Peoples Theatre in October 2017. Its 4 week run at Edinburgh Fringe Fest 2018 sold out, garnering 4 and 5 star reviews across the board and winning the Edinburgh Stage Award 2018; it transferred to the New Diorama Theatre, London (where it also sold out!). Ryan’s first play TIMBUKTU was part of the Bush Theatre’s Black Lives Black Words Festival 2016, a festival of radical new BAME voices. It was revived in February 2018 for a run at The Stratford Theatre Royal East which sold out. Ryan has been commissioned to write two one act plays TERRA NOVA and VOID for the Arcola Theatre and The Royal Court respectively. He is also developing a new play based around Hollywood legend Sidney Poitier and the infamous Hollywood Blacklist, as part of his year adoption with OffWestEnd.com. Ryan is also a professional Actor. His work in Theatre includes Mogadishu (Manchester Royal Exchange/Lyric Hammersmith), The West Bridge (The Royal Court), The Dug out (The Tobacco Factory) and Sponge (Old Vic New Voices). TV/Film credits include Luther (BBC) Jekyll and Hyde (ITV), The Coroner (BBC), Suspects (Channel 5), Casualty (BBC), Honey Trap (Bright Pictures) and The Interceptor (BBC) Cilla (ITV).